Samsung Electronics and Apple’s six-year legal battle over design patent infringement is headed back to the original court. Judge Lucy Koh of the US District Court for the Northern District of California ordered Sunday night that a new trial will begin to look into whether Apple’s $399 million award for Samsung’s design patent infringement should stand. The trial is opening 10 months after the US Supreme Court in December sent back the case, saying Samsung may not be liable for all of the $399 million awarded to Apple for infringing Apple’s iPhone design, overturning the 2015 ruling. “The Court finds that the jury instructions given at trial did not accurately reflect the law,” Koh wrote in the order. The damages of $399 million were based on Samsung’s profits from its entire Galaxy sales. But the Supreme Court viewed that damages for design patent infringement should be based only on the part of the device that infringed the patents, not necessarily the entire product. 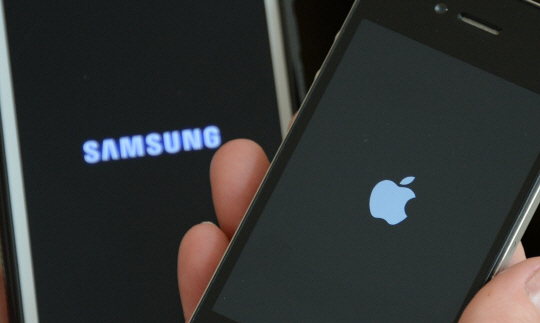 In April 2011, Apple sued Samsung for patent infringement, accusing the Galaxy S of ripping off the iPhone’s design, including its rectangular front face with rounded edges and grid of colorful icons on a black screen. A year later, Samsung was ordered to pay about $930 million in damages that constitute the total sales profits of the Galaxy S series. Under the US patent law, damages for design patent infringement should be based on the entire product. Following the second trial, the award dropped to $548 million, including $399 million for design patent infringement. However, Samsung contended the damages were still excessive, saying its phones infringed only some parts of iPhone’s design technologies and not the entire product. Global tech giants Google, Facebook and HP have sided with Samsung, saying that the ruling would have “significant detrimental consequences for the continued development of useful modern technologies” if left to stand. Apple’s position was backed by a host of other companies including Tiffany, Adidas and shoemaker Crocs. In December last year, the Supreme Court sided with Samsung, saying the previous judgement against the Korean tech firm was unfair and sending the case back to the federal district court to define “article of manufacture.” The current US statute states that anyone selling an infringing “article of manufacture” must pay their total profits from that article as damages. In a separate ruling, a case management meeting is set for Wednesday and both Apple and Samsung must file plans “advancing the case schedule and trial date” by that point.